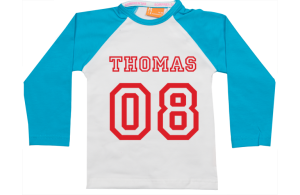 Sucha cool gift for a baby boy. 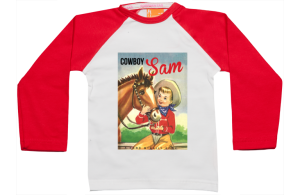 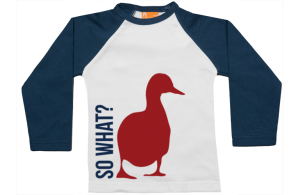 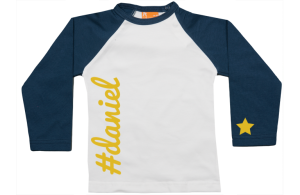 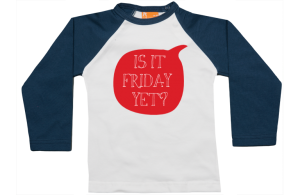 Our raglan long sleeve t-shirts for baby boys have a perfect fit because of tiny little bit of lycra added to the fabric giving it a perfect comfortable wear. 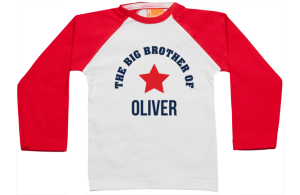 Making it personal has never been more fun!